With consumer demand in the driver’s seat, our RV storage facilities add a wide range of amenities that make pickup and drop off an enjoyable experience. While amenities can vary based the type of storage option you choose, some basic services are available at nearly all our storage locations. 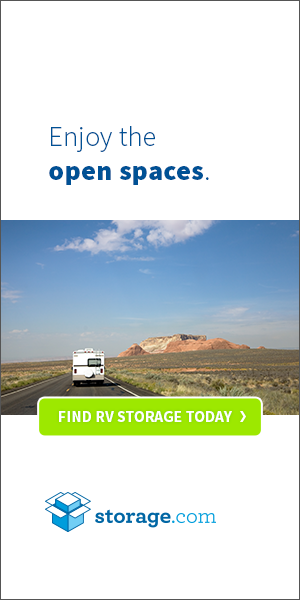 Indoor and outdoor storage spaces are available in a variety of sizes, allowing you to choose an option that fits your RV and budget perfectly. Oversized units provide ample space for navigating larger RVs, while smaller spaces offer you a perfect fit at a lower monthly rate. Covered outdoor storage is an affordable medium that provides ample space for parking. Both indoor and outdoor storage facilities also offer at least some basic security features. Basic security features are available to help protect your RV from common problems like theft and vandalism. Open lots are typically fenced, for example, and cameras usually cover the entrance and exit points. Indoor units are typically more secure than other options. Indoor units are similar to a garage. Most units are locked with a padlock, but coded keypad access may be provided at some indoor locations. To make storage facilities more user-friendly, most locations also offer a selection of basic maintenance services. RV storage facilities offer several maintenance-related amenities to make prepping your RV for storage, or for a trip, easier. Waste disposal stations, for instance, are widely available at both indoor and outdoor facilities, and potable water is provided to for a convenient fill-up option before leaving on a trip. Other common maintenance tools provided by storage facilities include high-pressure air tanks and wash racks. Trickle-down charging stations are also common, especially when using an indoor storage unit. Indoor units offer several additional amenities that aren’t available with outdoor storage spaces, including access to climate-controlled units. Climate-controlled storage is an excellent option if you want the best protection available to your RV. Not only is your RV protected from the elements in an indoor storage unit, but the risk of damage caused by extreme temperatures also drops to nearly zero in a controlled-climate unit. Although climate-controlled units are common, some facilities have a limited number of these units available, but nearly all indoor storage units are insulated to help regulate temperatures. Special amenities based on location are also common. Special amenities, such as boat dock access for locations near lakes, are a big bonus for local RV owners. On-site RV stores are available at many locations to provide customers with both souvenirs and must-have maintenance supplies, and lounges with amenities like wifi access are becoming a staple for RV storage facilities with indoor units.